Contributions to the General Collection are used to offset the costs associated with day-to-day operations of the parish and its programs. These costs include payroll, maintenance and cleaning of buildings, utilities, and supplies. Parish members are encouraged to set up an account and manage their contributions. You will have complete control over your contribution amount and frequency of payments. Contributions to the Catholic Education Collection are used to offset the costs associated with the parish non-school assessment. Contributions to the Maintenance & Repairs Collection are used to offset the costs associated with day-to-day operations of the maintenance of our parish. Contributions to the Parish Outreach Collection are used to offset the costs associated with day-to-day operations of our outreach program. Contributions to the Capital Campaign Fund are used for the renovations of our parish. 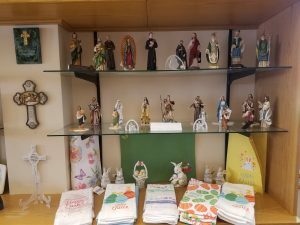 Contributions to the Easter Sunday collection are use to offset the cost associated with the day to day operations of the parish and it’s programs.